The British army has been accused of a ’cover up’ after it was disclosed that it has withheld evidence for more than three decades revealing that UDR units were being used to finance and support the UVF in Belfast, with at least 70 soldiers on one base linked to the loyalist terror group. The Detail website can reveal top secret government papers which disclose that the UDR’s Belfast battalion was heavily infiltrated by the UVF in the late 1970s. •	The collusion investigation was then suspended after a senior UDR officer claimed it was damaging morale within the regiment. However the top secret papers, which were brought to the attention of then Secretary of State Roy Mason, have been kept hidden for nearly 35 years. The documents show that army chiefs took a deliberate decision to cover up evidence exposing the fact that the UDR battalion had been seriously compromised by the UVF, which included one member of the notorious Shankill Butcher gang. 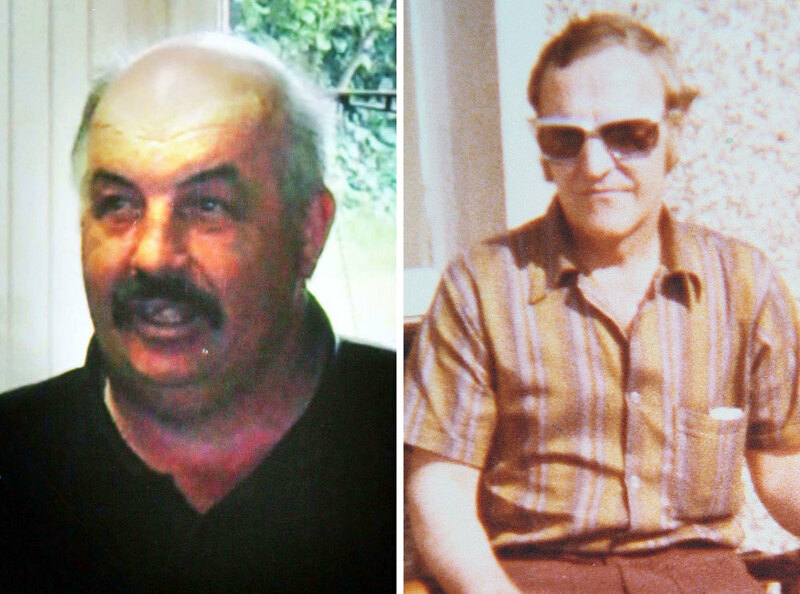 The family of one Shankill Butcher victim has now challenged the British army to explain why it deliberately `covered up’ the collusion link between the UDR and UVF. As many as 258 serving and former members of the UDR were murdered during the Troubles. 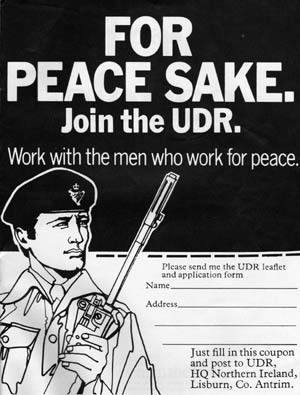 In the 1970s `10’ UDR battalion was based in Belfast, with its `D’ and `G’ companies based at Girdwood barracks in the north of the city and used as support for the RUC and regular British army. In July 1977 a routine audit of `D’ Coy’s accounts uncovered a major fraud aimed at siphoning-off tens of thousands of pounds for the UVF. The army’s investigation team (SIB) discovered that the fraud involved up to 30 UDR soldiers falsifying payslips for overtime and patrols which were never carried out. Investigators estimated the fraud amount to sums of between £30,000 and £47,000 – the equivalent of up to £200,000 in 2011. A female clerk told SIB investigators that an unnamed UDR soldier had ordered her to hand over £300 each month to the UVF or her daughter would be targeted. “The fraud, which has been in progress for some time, involves conspiracy amongst about 30 persons. “There is a very good indication that a large percentage of the funds have been going to the UVF. A separate army investigation was launched at the same time at the Girdwood base after a UDR weapon went missing. Army chiefs were subsequently informed that equipment stolen from another UDR unit on the same base was being used to equip the UVF. Investigators found that some soldiers were also `borrowing’ army weapons to carry out criminal activities. “There appears to have been theft of stores over a considerable period…There are indications that equipment stolen has been passed to the UVF. The papers, marked for `UK Eyes Only’, reveal that army generals suspected up to 70 UDR soldiers based at the Girdwood barracks had links to the UVF. “As a result of a current, but minor, investigation it was revealed that certain SNCOs (senior non commissioned officers) had been involved or were involved in paramilitary activities. The investigation revealed that UVF paramilitaries, who had no legitimate connection to the UDR, were allowed to socialise in the unit’s mess inside the army base. Investigators expressed “cause for alarm that the practices so far revealed at Girdwood would be repeated in some degree at other locations”. However the British army took a deliberate decision to hide the fact that the UDR’s Belfast battalion had been so heavily infiltrated by the UVF. Minutes of a meeting at British army headquarters in Lisburn in February 1978 discussed a “defensive press brief” linked to the massive security breaches. “It would be desirable to avoid mention of the security investigation into UDR soldiers’ possible involvement with paramilitary organisations. In a telling account of how much it was feared the UVF had infiltrated the UDR, the secret memo revealed how army chiefs discussed test firing all UDR weapons held at Girdwood to determine whether they had been used in sectarian shootings, including two murders. “There have been 16 reported cases of misuse, including negligent discharge from the whole of the UDR since January 1977,” it stated. Army chiefs feared UDR soldiers could mutiny if informed their weapons were to be forensically tested for evidence of being used in sectarian attacks. As a result UDR soldiers were to be told their weapons were being collected for use in the army’s annual Bisley shooting competition. The classified papers reveal that army chiefs suspended the collusion investigation because of anger within UDR ranks. As a result, army chiefs suspended the investigation “temporarily in order to allow the situation to stabilise”. Despite evidence of 70 UDR soldiers being linked to the UVF only two were dismissed on security grounds. The late 1970s were some of the worst years of the Troubles, with the UVF’s notorious Shankill Butcher gang responsible for a sectarian murder campaign, which included the abduction, torture and brutally murder of 10 Catholics in north and west Belfast. The RUC’s failure to apprehend the killers for 19 months lead to many within the nationalist community claiming that the Butcher gang was being protected from prosecution. In 1979 loyalist Edward McIlwaine was jailed for 15 years for kidnapping and wounding the gang’s last Catholic victim. It was only disclosed years later that McIlwaine had led a double life as a UDR soldier and Shankill Butcher. McIlwaine had joined `10’ UDR in 1974, but within months had also become a trusted member of the Butcher gang. 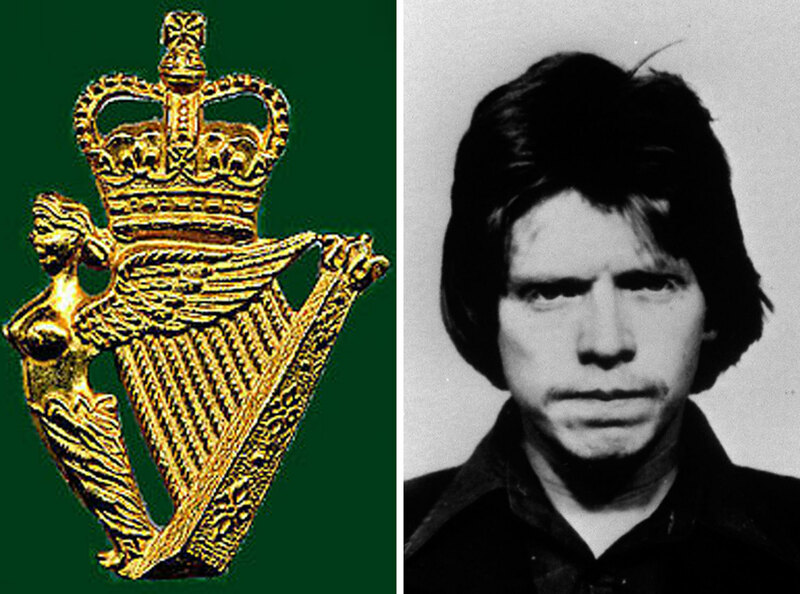 The UDR soldier’s double life lasted for three years until he was finally arrested in June 1977 and charged with the kidnapping and brutal assault on Gerard McLaverty. He remained a UDR soldier until August 1977, when it was claimed he had been discharged for `poor attendance’. However the regiment’s denial that it knew about McIlwaine’s double life was later questioned by journalists. In his 1991 book the `Ulster Defence Regiment: An Instrument of Peace’, Chris Ryder challenges the UDR’s denial that it didn’t know of McIlwaine’s involvement with the UVF. “The regiment insisted that the process of discharging McIlwaine was already well underway before his arrest,” he said. In March 1979 the UDR admitted that more than 30 of its members had been convicted for serious terrorist offences, including murder, manslaughter, possession of weapons and other terror offences. The family of Shankill Butcher victim Joseph Morrissey has challenged the British army to release evidence of UDR/UVF collusion which it kept secret for 34 years. The 51 year-old was abducted and brutally murdered by the UVF gang as he walked home from Belfast city centre on February 3, 1977. Mr Morrissey’s daughter Charlotte has now challenged the British army to reveal why it deliberately withheld information about 70 UDR soldiers’ links to the UVF at the time of her father’s murder. “My father and a number of the Shankill Butcher’s other victims were abducted very close to Girdwood barracks,” she explained. “Every Catholic in north and west Belfast suspected that the authorities were in some way protecting the Shankill Butchers. “Now these papers prove they had evidence of collusion between the UDR and UVF but they covered it up for 34 years. “They have treated victims’ families like ourselves with utter contempt by deliberately withholding potential evidence, which for all we know could have identified members of the Shankill Butcher gang who have never brought to justice. Pat Finucane Centre spokesman, Paul O’Connor, questioned the British army’s refusal to disclose the evidence of collusion. “The British government was fully aware of the extent of loyalist infiltration of the regiment but decided to turn a blind eye,” he said. “People continued to die as a direct result. “The Shankill Butchers continued their reign of terror. It was the ultimate appalling vista." “As the documents indicate, a full military investigation was instigated in tandem with the RUC as soon as suspicions of financial impropriety and potential security breaches were uncovered. The spokesman insisted that immediate action had been taken to tighten security and said the decision whether soldiers should face prosecution had been a matter for the Public Prosecution Service. The secret MoD papers will be included in an exhibition `UDR: Gallant Soldiers, Terrorists or Victims’ at St Mary’s College on Monday August 1 at 2pm.